This statement raffia tassel earring DIY is a quick and simple make, perfect for spring and summer! Make this wood and copper storage to show off your washi tape collection! These simple earrings are perfect for using up seed beads leftover from another project! I don’t know about you, but I can never have enough storage. After coveting the many basket-weaving DIYs and inspiration over on Pinterest, I wanted to create something out of cotton rope, that was purely knotted and woven. Its perfect for storing everything from jewellery, washi tape to erm, tea! 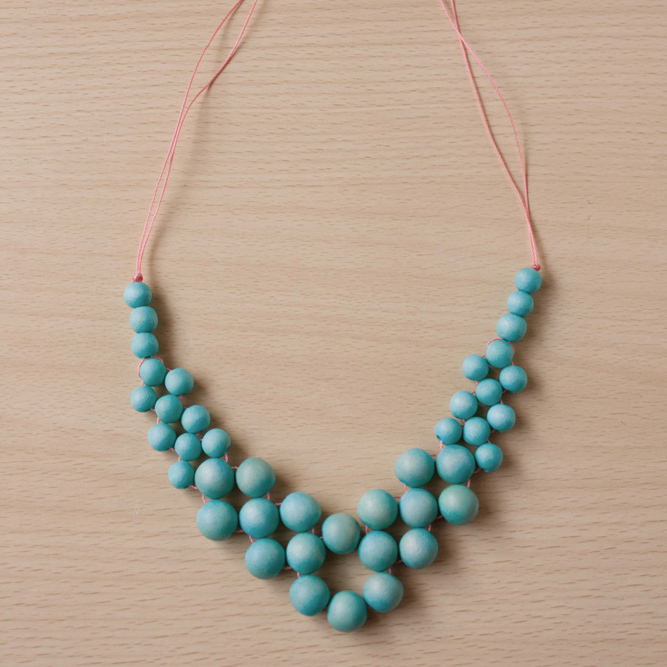 Get ready for summer with this beaded necklace, using colourful wood and thread. Perfect for springtime, make this cute bunny rabbit using needle felting! What is Needle Felting? Its the technique of taking fluffy wool roving and stabbing it with a special barbed needle to create felted objects. It is similar to traditional wet felting were you felt wool using hot water and soap. Both methods tangle the loose wool fibres to make a solid felt fabric. Needle felting allows you create 3d shapes a lot easier and because there is no water involved, doesn’t need time to dry. It is fast approaching spring here in the UK and it’s also nearly Mothers Day (or Mothering Sunday) so I am celebrating the two events in this tutorial to make a floral brooch, a perfect gift for your Mum!